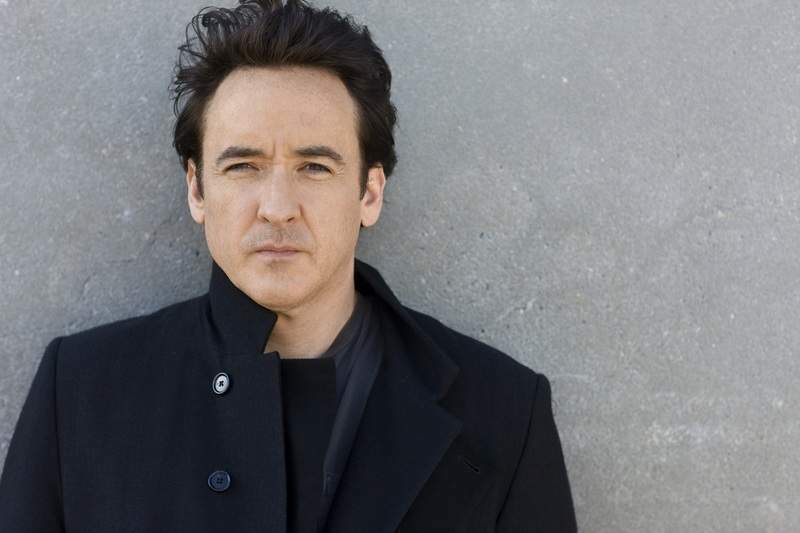 Courtesy Actor John Cusack will answer audience questions Saturday at Embassy Theatre. Where: Embassy Theatre, 125 W. Jefferson Blvd. The actor will also give a behind-the-scenes look at the movie and talk about his career. In a phone call with The Journal Gazette, Cusack says the screening is a chance for the audience to see the comedy and hear its soundtrack of more than 70 songs again in a crowded theater. In “High Fidelity,” Cusack plays record store owner Rob Gordon who is on a search for love. He revisits past relationships in an effort to figure out what went wrong. Is there anything you credit for your longevity in the movie business? Cusack: I think some of it's just luck, and some of it is I started so young that you can have peaks and valleys and dips in your career. I already had two or three of those peaks and valleys, even in my 20s. So you tend not to take them too seriously. Sooner or later you find a way to express yourself in a way that's good and find a good role or get a project off the ground. But sometimes it doesn't happen when you expect it. There's no linear, rational way to describe it. Has the way that you choose projects changed? There used to be a little bit more freedom in the film business. And I guarantee that all those movies that are trying to get Academy Awards, they're leveraging actors to do them for the lowest budget possible, and then the actors go do superhero movies to pay for their equity. So it's just changed a lot. I think the space I used to work in in film is probably the space that is now in TV. Does that damage the art? Cusack: I don't know. There's different ways to tell stories. Long-form TV is certainly really good, some of it. It's a very different medium. It allows you to go a little deeper. Though with TV, you say “This will be great over six, seven, eight hours,” but then they want you to do it over three years, so you end up doing some soap opera elements to fill in the story. That's why things like “Breaking Bad” that are so brilliantly done over such a long period of time are kind of rare and inspiring. Have you ever considered TV? Cusack: I've never done TV, so I've never gotten to do that sort of episodic format. But we'll see. Is there anything from “High Fidelity” that you carried with you from or to other projects? Cusack: By the time I'd made that movie, I'd done a bunch of movies already and produced some and done theater, so I think I knew how to create an environment where actors can feel really safe and feel free. Looking back, I'm proud of how we took care of all the actors, and it shows in the movie where every last role shines. Every actor that is onscreen is really good, so that's what I remember is that we were able to create a vibe where people could excel. Here in Fort Wayne, we have a big push right now for public art. So if there were a mural about John Cusack, what would you hope it included? Cusack: I hope to God there wouldn't be a mural on the side of a building about me! I don't even know how to think of a mural of me. Just a giant picture of your face? Cusack: I don't know, maybe. If it was a character in a movie that people liked, that would be OK.